Caritas is helping thousands of refugees who are fleeing clandestine killings and political violence in the small east African nation of Burundi. Sparked by a presidential bid for reelection, the crisis has spread to many areas of the country, with roving military bands threatening families and killing opponents. The United Nations’ refugee department estimates that over 70,000 of Burundi’s people have fled their homes for nearby countries. Many refugees left with nothing. In Tanzania, Catholic Relief Services (a Caritas member from the USA) is supporting Caritas Kigoma to help thousands of refugees coming in by boat and bus to a stadium that is serving as a transit centre. Caritas registers the refugees and gives them hot food provided by the World Food Programme. Caritas also provides water, hygiene and sanitation services in the transit centre. Caritas Kigoma may be called on to manage a transit centre that will replace the existing stadium centre. “The situation is worsening,” Bishop Mlola said. “Just at the entrance to my residence day and night we are cooking what we can for the thousands of refugees stationed at Lake Tanganyika Stadium before they are taken to the camp at Nyarugusu, despite the cholera epidemic and the thousands of refugees who were there already.” Nyarugusu is an existing camp created to help refugees from other countries and earlier conflicts. 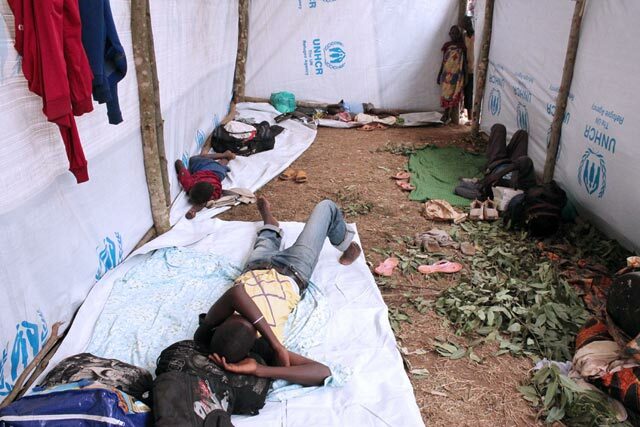 In Rwanda, where tens of thousands of Burundians are living in tents at the Mahama refugee camp, Catholic parishes have been collecting items like clothes, soap, and blankets to give to the camp residents. Caritas Rwanda is launching a EUR 280 000 appeal for an emergency 3-month project to give extra food to 3,550 particularly vulnerable refugees in the camp–especially children, pregnant women and HIV-positive people. In the part of the Democratic Republic of Congo that is near Burundi, the diocese of Uvira is giving refugees essential items, supported by Caritas Spain and Cordaid (a Caritas member from the Netherlands). Inside Burundi itself, Caritas is helping wounded people pay for medical care and plans to stock food and medical kits for the future. 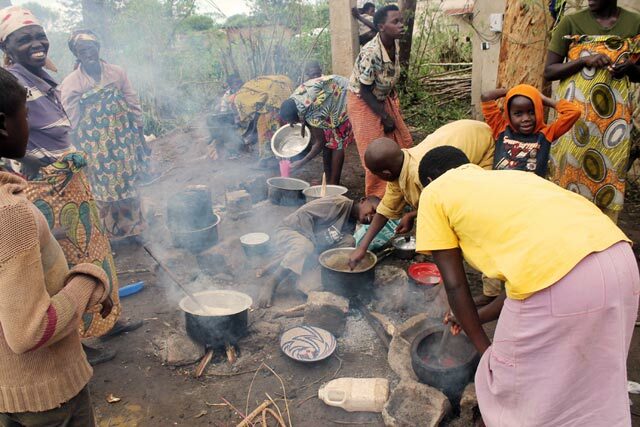 Jean Chrysostome Ndizeye, director of programmes for Caritas Burundi, hopes some families in safer areas will agree to host refugees and the displaced. “Life in a refugee camps is a nightmare, but unfortunately not many people can accept the burden of other people,” he said. As for the hopes for peace in his country, “the situation is very changeable,” he said.